Hope you have completely made up your mind to appear in CSIR NET 2019. Well! If you are seriously aspiring for this exam, then you must not lose this golden opportunity to direct your career path towards the lavishly paid jobs of Junior Research Fellows or Assistant Professors. 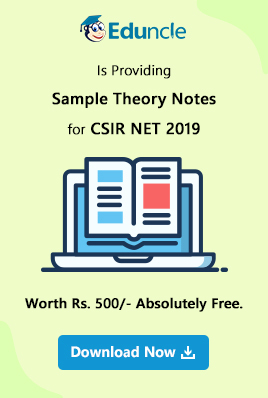 Download CSIR NET Syllabus and Mock Test Papers for free! Aspirants, you have only one week left to accomplish your goal! In this one week, you’ll have to muster all your efforts and energy and use them in the right direction to get satisfactory results. In this blog, we have come up with the complete CSIR NET Preparation Plan to make your preparation more precise and easier. 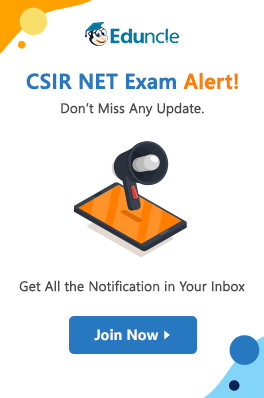 How to Prepare for CSIR NET June 2019 Exam? Just for a moment, remember that glorious day when you had imagined yourself being placed at the prestigious position of a lecturer and then you finally decided to pursue your career in Research Fields. Now analyze the activities and efforts that you had performed in order to achieve your goal. So, have you accomplished it, or still waiting for the opportunity to move ahead towards your desired career. Below we are providing the CSIR NET Preparation plans suggested by Eduncle Experts to help you out in reaching your destination! Know about the CSIR NET Online Application Procedure in detail for hassle-free submission. 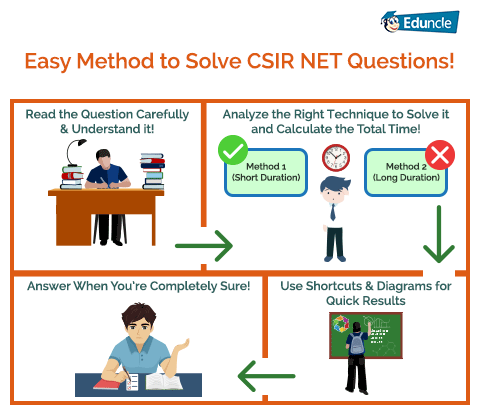 CSIR NET Preparation Tips – 7 Essential Things for Better Start! The below-given points can also be considered as pre-requisites before beginning up to the actual subject-wise preparation. Please check out the essential resources which you need to gather before starting the exam preparation. Review the Complete CSIR NET Syllabus and list up all the topics on a paper. Seek out for the best CSIR NET Study Material, Books and Coaching (only if you want to go for tutor assistance). While choosing the study resources, make sure it covers the complete syllabus. Understand the CSIR NET Exam Pattern and set your targeted score to bag up the exam qualification. Plan a study schedule to manage your time effectively during the exam preparation. Spend at least 5 hours on your studies daily and allow 1 hour extra for revision. Take Important Topics at first. And as soon as you complete a topic, revise it instantly! Utilize Morning Hours on those topics that you find difficult to learn and understand. Noon Hours should be spent on the topics which can be solved with the help of short tricks and methods. Try to cover your maximum portion in Morning and Noon Hours and dedicate evening hours for refining your performance. The best way to polish up your skills and improve your performance is to solve CSIR NET Previous Years Question Papers. The exam syllabus is vast and covering every single topic is very difficult for the aspirants. So, Eduncle experts suggest you analyze the previous year’s question papers and filter out the topics whose occurrence frequency is higher than the others. Start taking CSIR NET Online Test Series with 1 month left for the exam, so that, you can self-assess your performance and put your efforts towards improving it. For better learning practices, avoid cramming and focus more on understanding their actual meanings and methods. Get the Best Study Guidance for CSIR NET at Eduncle! Benefit yourself with the Well Designed Study Material, Books and various Online Learning Packages. Gather all the Online CSIR NET Preparation pre-requisites and stay focused towards your study goals! Below we have come up with the subject wise preparation strategies to make it clear for you to know how to prepare for CSIR NET Life Science, Chemical Science, Mathematical Science, Earth Science and Physical Science Exam. CSIR NET Preparation Plan [Subject-Wise] | How to notch up top Scores in the Exam? How to Prepare for CSIR NET General Aptitude [Part-A]? This section owns total 30 marks. If you attempt all the 15 compulsory questions and answer them accurately, then you win 30 marks from this section itself. But practically, it is not possible to answer all the questions correctly. So let’s consider only 20 marks to be scored in this section (means you’ll have to answer at least 10 questions accurately). So your targeted score for PART-A should be 17-20 marks. In order to achieve this score, the candidates are required to prepare excellently for this section. As per the CSIR NET General Aptitude Syllabus, the candidates will have to focus on the Logical Reasoning and Quantitative Aptitude Sections. Firstly, read the question clearly and try to understand its actual meaning. Don’t try to interpret it wrong, otherwise, you can misdirect your solution path. Prepare your mind to face any twist and turn that can be resolved while solving the questions. Solve the short time taking questions first and take lengthy questions later [only if you have enough time remaining to solve them]. Try to use short tricks and formulas to solve Maths’ questions instead of using the long methods. Solving Logical Reasoning questions can be easy if we use our presence of mind. Take help from the Diagrams or Graphs to solve the Part-A questions. This is the easiest way to attempt questions with the minimal time limit. [You can draw them by yourself too, in case the questions don’t have any illustrating diagram or graph]. Do not waste your time in guessing. Answer only when you are sure about it! As per the latest scheme, the General Aptitude paper will have a negative marking of 0.5 Marks deduction from each wrong answer. So Stay Focused. Click here to download CSIR NET Last 5 Exam Solved Question Papers. In the below diagram we are providing you with a step by step process which should be followed while solving any question. Tip: Remember that ‘Speed and Accuracy’ are two essential skills to score well in any competitive Exam! Take Free CSIR NET Mock Tests and Solve Previous Years Question Papers to Boost Up Your Speed and Accuracy. So, above we have provided the CSIR NET Exam Preparation Tips for Part-A but if we look on Part-B and Part-C, then these two sections contain higher marks. These sections consist of questions from the opted Subjects only. Any candidate who is aspiring for CSIR NET June 2019 can score 170 marks out of 200 marks if most of the questions are answered appropriately. The Marking Scheme for each subject is different. How to Prepare for CSIR NET Life Science Exam? Useful Tips to Crack the Exam! For CSIR NET Life Science, you can own 70 marks in Part-B and 100 Marks in Part-C.
For B-Section, candidates are required to attempt at most 50 questions but it is not possible for candidates to answer all the 50 questions. So, keeping the negative marking (of 0.5 marks deduction for each wrong answer) in mind, we can assume to answer 35 questions for this section. And for C-Section, candidates are required to answer any 25 questions out of 75, to score 100 marks. (4 marks for each correct answer). While attempting the C-Section, you should be aware of its negative marking. For each wrong answer, you may lose 1.0 marks, so answer the questions only when you're sure about them. Also, know the CSIR NET Cutoff Marks of Past Years for better analysis of your targeted score! Along with the CSIR NET Life Sciences Syllabus, we have mentioned the important topics for this subject also. So, candidates are advised to take those topics first while doing CSIR NET Life Science Preparation. Usually, the Life Science questions occur from Physics, Chemistry and Biological Sciences. The candidates belonging to bio background face difficulties in solving other sections apart from Biological Science, so they should attempt most of the questions from biological science and after that, they can attempt other questions. So attempt your strong section first and then attempt other sections. Download Here the Sample Study Material, Syllabus & Previous Years Papers for CSIR NET Life Sciences. CSIR NET Life Science Preparation Tip: Learning topics with visual presentation and imagination will increase your memory power, so try to visualize things in your imagination, while reading them. Hope we have answered you for the question ‘How to prepare for CSIR NET Life Science Exam’, with the above-given strategy for CSIR NET Preparation Life Sciences. Scroll down and know how to prepare for CSIR NET Chemistry! This section can benefit you with total 70 (Part-B) + 100 (Part-C) marks, that means you will have to solve any 35 + 25 questions out of 40 + 60 questions respectively to gain this score. The Part-B consists of questions from Chemistry (of 10+2 level), so candidates who have the Chemical Sciences basic fundamentals clear can score more in this exam. And The Part-C consists of questions from Graduation and PG level, so think twice before answering them. You can tick mark more than one options while answering the questions in Part-C. Note - There will be negative marking of 0.5 marks deduction for each wrong answer in sections A & B of Chemical Science.Whereas the Section C has 1 mark negative. So, take care of the accuracy whenever you attempt the questions. While doing Joint CSIR UGC NET Chemical Science Preparation, make sure that you have all the CSIR NET Chemical Science basics and fundamentals cleared. Also, check out CSIR NET Chemical Science Previous Years Cutoff Marks to have an idea about Targeted Score! Hope you have got your answer how to prepare for CSIR NET Chemistry Exam! How to Prepare for CSIR NET Mathematical Science Exam? For CSIR NET Mathematical Science, you can score max 75 marks from Part-B (20 questions to be attempted) and max 95 marks from Part-C (20 questions to be attempted). As per the given CSIR NET Mathematical Science Syllabus, Part-C has 4 units but the 4th unit is statistics. So only first 3 units are of Mathematics, which has 42 questions and in the exam, you have to attempt 20 questions only. So, 2 units will be sufficient for candidates if they prepare them excellently. But in case, you have enough time to prepare for the 3rd unit, then you can attempt the questions from the 3rd unit also. Check out – CSIR NET Mathematical Science Previous Years Cutoff Marks! While preparing for CSIR NET Mathematical Science Exam, candidates should definitely solve the previous years’ question papers to know about the question format and to assess their performance in terms of speed and accuracy. You can also take help of online learning to prepare better for this exam. In order to ace the Mathematical Science Exam, one should master the short tricks and Maths Formulas. And the other key skill which can help candidates in scoring more is Time Management. Exam time is 180 minutes, break this time into three parts of 90–95 minutes, 55–65 minutes, and 20–25 minutes. The questions in Part C have more than one options as the correct answer, so it is always better to start with part C because after solving this part concept will be clear in your mind, and then it would be really easy to attempt Part B. So solve Part C in the first 90–95 minutes and then part B in the next 55–65 minutes. You should attempt Part A in last and should not give more than 25 minutes. Get the Complete CSIR NET Mathematics Study Material & Set of Question Papers from Eduncle. Download For FREE! CSIR NET Mathematical Science Preparation Tip: Since in Part A and Part B there is a negative marking of 0.5 and 0.75 marks respectively. For Part C there is no negative marking. So, don’t attempt those questions for which you are not confident. How to Prepare for CSIR NET Physical Science Exam? As per the CSIR NET Physical Science Exam Pattern, the candidates can score max 70 Marks in Part-B and 100 Marks in Part-C. In the CSIR NET Physics Section Part-B, you only need to focus on the basic concepts of Physics, which you have studied at 10+2 level. This part can be very scoring if candidates prepare very well for this section. For Part-C, the candidates can study Physical Science problems at a higher level. For preparing in the right direction, the candidates should first take the CSIR NET Physical Science Important Topics first and then cover the remaining topics. Note: For each wrong attempt in Part A, Part B and Part C of Life Science there is negative marking of 0.5, 0.875 and 1.25 respectively. Also, check the CSIR NET Physical Science Previous Years Cutoff Marks. How to Prepare for CSIR NET Earth Science Exam? To prepare well for the CSIR NET Earth Science Exam, candidates are required to first cover up the complete syllabus of Part-B Section and then take the Part-C Topics. As per the Earth Science Important Topics, the Part-B section is very scoring. If the candidates prepare for this section in the right direction and with a systematic approach, then they can score well in the exam. With the given exam pattern, candidates can achieve max 30 Marks in Part - A (0.5 Negative Marking) 70 marks in Part-B (0.5 Negative Marking) and 100 marks in Part-C (1.32 Negative Marking). Also, check CSIR NET Earth Science Required Cutoff Marks. 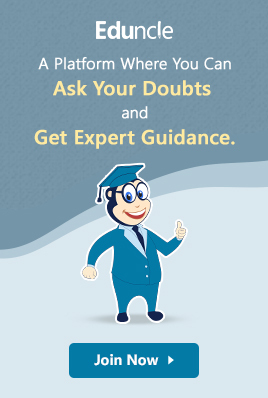 So, aspirants above we have discussed the complete CSIR NET Preparation Tips with you. Hope it will be beneficial in the journey of achieving the CSIR NET June 2019 qualification. If you have any queries or doubts regarding the above discussed CSIR NET Exam preparation tips and strategies, you may please leave your comments in the comment section below. I hope its price and time worthy. Can you plz suggest some tips for preparation for csir net for earth science?? Sir I have just taken admission in MSc chemistry. I want to crack CSIR NET but I don't have much facility for joining coaching as the place where I live is far away from city. Plz guide me. If you could tell me about DLP or study material of your coaching and the preferred and relevant books for cracking NET. Thank you! I feel i could make through preparing by this pattern.